Presenting clever corporate TV advertisements and projecting the most positive message from within its portals, much-loved Honda does appear to be on the ‘right track’, states Iain Robertson, but he still wants more proof. Japanese motorcars have been a driving force on British roads since the late-1960s. Car buyers are a forgiving lot and, in the decades post-WW2, it seems that we did forgive both the Germans and the Japs for their war-coddled misdemeanours. Of course, it can always be hoped that, in a modern self-aware and self-deprecating society, they might forgive us for perpetrating our own revenge upon them, a factor not reflected in the relatively poor sales of British motorcars to their markets. An imbalance has existed for a long time. Yet, in a world cars scenario, the Japanese started out as the archetypal copycats, managing to forge their own vital places in foreign lands. Just look at what used to be the British motor industry that is now populated almost entirely by Japanese manufacturers – Nissan, Toyota and Honda. However, it is interesting to note that, while the first two firms are always at the head of the queue in demanding development monies, frequently with thinly veiled, hands-out menaces, Honda has never jumped on that bandwagon. Honda’s self-supportive status is probably the sole remaining and respectable strand of decency that is the legacy of its founder and great Anglophile, Soichiro Honda. He was hurt terribly, when Mrs Thatcher’s government hived off what remained of Austin-Rover to BMW, because, without Honda, the Rovers 25, 45 and 75 would never have existed. Stoical as ever, Honda simply redeveloped its Swindon plant and bolstered its marketplace. Sadly, the great man passed away and, since then, Honda has been like a rudderless ship, unable to advance its style consciousness (unless beaten by the ugly stick), or to motivate its often directionless teams of employees. Of late, a fresh tranche of enthusiastic optimism seems to have hit Honda Towers in the UK. It starts with a stronger management structure and a significantly bolder and more motivated public and media relations team. Honda, the great innovator, is giving off the air of a company much revitalised. By the Good Lord, unaided by strategic automotive partnerships, it needed to do something! 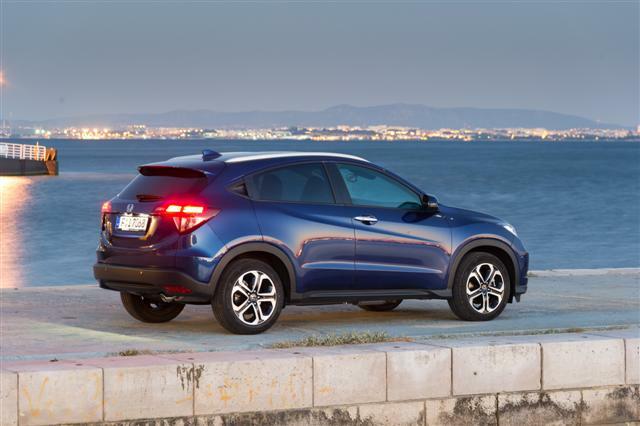 Insiders at the firm talk about 2015 being ‘Honda’s year’ and, with several new releases on the market – Civic Type-R, CR-V, Jazz, NSX (supercar) and the latest HR-V – plus the company’s new corporate jet taking to the skies, let alone its outstanding R&D in the robotics sector, Honda does have good reason to be exceedingly bullish. While I still think that the insect-like Civic is strange at least and outlandishly inappropriate at worst, armed with 300bhp, it is taking the hot hatch fight directly to its key rivals, a factor supported by a winning performance in the British Touring Car Championship. Sadly, Honda’s high-profile relationship with McLaren, in the F1 scene, is a tad premature and not as productive but, given some time, it just might be so. Its latest road-bound offering lies in the shape of the HR-V. From having been conservatively European in previous iterations, the style of the latest version is staunchly oriental and weirdly attractive from some angles. 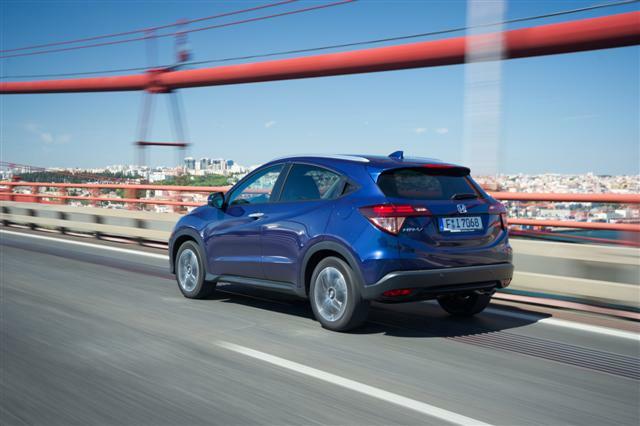 It follows a precept of coupe-like offerings to the SUV sector and deserts the ‘yummy-mummy’ and fun stance of the original HR-V, an acronym that has been twisted to extremes by all and sundry. It is a compact car, fitting within a 4.3m shadow, although it promises interior space in abundance. Be careful what you ask for…Honda did this before. It promised bags of rear legroom in an iteration of the Civic, achieved by stealing it from the reach of the front seat runners, which opened plenty of appeal to drivers of restricted height, even though my two metres found it impossible to drive at all. Fortunately this HR-V is slightly better on the space management front. As a compact model that needs to sit below CR-V in the brand hierarchy, its power units are smaller in capacity – the 130bhp petrol unit displaces 1.5-litres, while the 120bhp turbo-diesel is 1.6-litres and, although a six-speed manual is standard, the petrol also ‘benefits’ from a constantly variable transmission. I am keen to sample the latter variant, to see if it can sidestep the perpetually annoying revviness that normally accompanies this transmission type. If Honda has been smart and invested in the apposite adaptive ‘electrickery’, it should be able to overcome the potential negatives, which will make it the model of choice for city dwellers, not least because lower CO2 emissions are elemental to its draw. 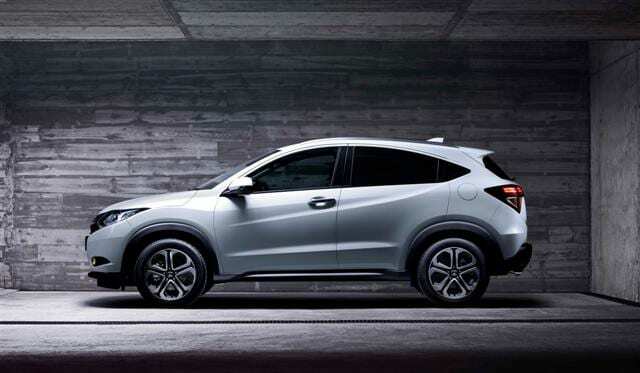 As Honda does appear to be ‘stuck’ on its current face, which it calls ‘the wing’, observers are greeted by the same floaty grille that features on both current Civic and CR-V models. 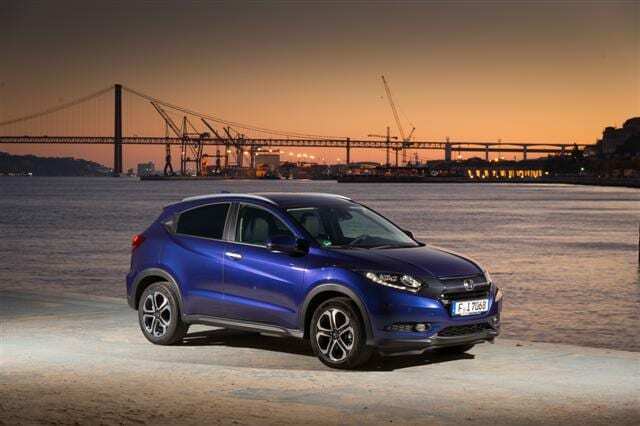 The rest of the design is a country-mile away from the straight-edged presence of the original HR-V. Honda believes it to be a ‘dynamic’ advantage, all leant forwards and intercepted by swage lines and concealed rear door handles. To be frank, I am unconvinced. To my eyes, the new HR-V looks (inevitably) like the successful CR-V, an understandable situation, when you consider just how important that model is, not just to Honda Manufacturing in the UK. Naturally, buyers of cars in this sector of the market can be quite demanding but, fortunately, the ‘Magic Seat’ arrangement in the rear, introduced originally with the first-generation Jazz and much-lauded since, is focal to the HR-V’s consumer appeal. It amazes me that other carmakers have not followed suit, although the closest to date is the ‘Flex-7’ arrangement that Vauxhall uses in its Zafira people-mover. A simple seat-base stay that folds away space-savingly is its ‘secret’ and it is all but uniquely Honda’s. The rest of the interior space is equally well managed, with a fold-flat front passenger seat that allows truly long loads to be accommodated. The interior detailing is worthy of note, because Honda has adopted (at long last) a comprehensively ‘soft touch’ to its dashboard and door cappings. The impression of high quality is supported by brushed alloy fillets and high-end stitching, with a piano black centre console for minor controls. Three dials confront the driver, with Honda’s customary ‘floating ring’ displays that change from white to green to denote ‘eco-driving’. To be frank, I tend to ignore HVAC (heating and ventilation controls) these days but those of the HR-V change the cabin air quality frequently and efficiently. With three trim levels, S, SE and EX, cloth, part-hide and full-leather seats are available, while a suite of themed packs (chrome, robust, aero, illumination, convenience and cargo) allied to different colourways serve the customising end of the scene. Performance expectations should be muted, despite the comprehensive attention to under-body aerodynamics, which are great for overall efficiency but do add to the weight penalties that already small engines slog hard in order to maintain progress. Both petrol and diesel versions boast 119mph top speeds (with the CVT lopping 3mph off the maximum). Boosted by its turbocharger, the diesel is marginally the speedier in the 0-60mph dash (9.8 vs. 10.4 seconds, with the CVT lagging a touch on 10.9secs). Dependent on wheel diameter (the smaller alloys are the frugal option), the diesel delivers its usual (Official Combined) 70.6mpg, contrasting with the petrol’s return of 50.4mpg, while the CVT is 54.3mpg. CO2 emissions run at 104, 130 and 120g/km respectively, also on the smaller alloys. Of course, replicating those figures in real-time might prove difficult but I shall confirm them following a proper road test. While its tarmac proposition is aided by an engineered low centre of gravity, whether the HR-V will be able to perform in anything other than a soft-road environment remains to be witnessed. Personally, I would not hold out too many hopes for serious mud-plugging, although driving across the wet grass at the local gymkhana will surely fit within its remit. 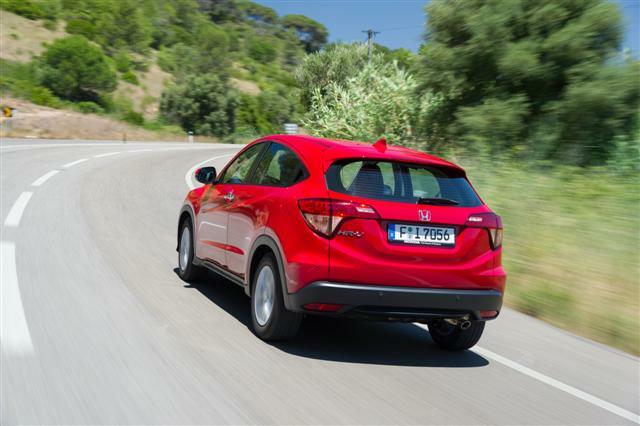 On-road, the HR-V is both stable and controllable, possessing a pleasant agility that is not unlike the Civic model. Conclusion: Price is a guiding factor in the junior-SUV sector and Honda might well gain the upper hand with a well-judged £17,995 starting tag, rising to £19,745 for the mid-range SE and £23,195 for the bells-and-whistles EX version. Even the base model features air-con, cruise and auto-on headlamps as standard and, while a near-£30k HR-V might be possible, if all the options boxes are ticked (not uncommon in the class), affordability will give it a solid place. « Malta Diary HELSINKI SUMMIT 40 YEARS AGO – the mouse that roared!